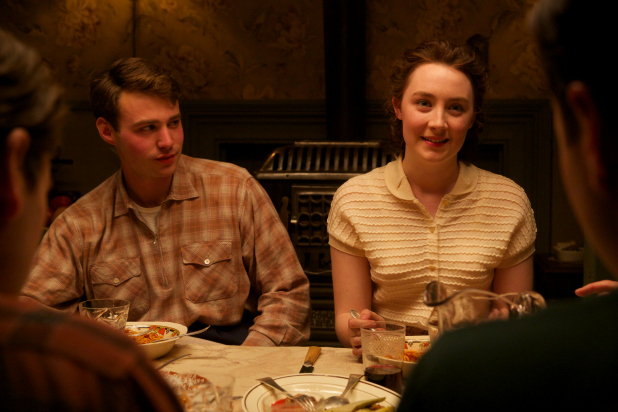 Saoirse Ronan lit up the screen as she stared in a tale of both moving on and looking back. Flying her Irish nest and setting out for New York in the 1950’s, this film tackled the troubles of desperately seeking a new start in life whilst yearning to hold onto the memories of the past, all played with utter assurity and relatable on many levels. 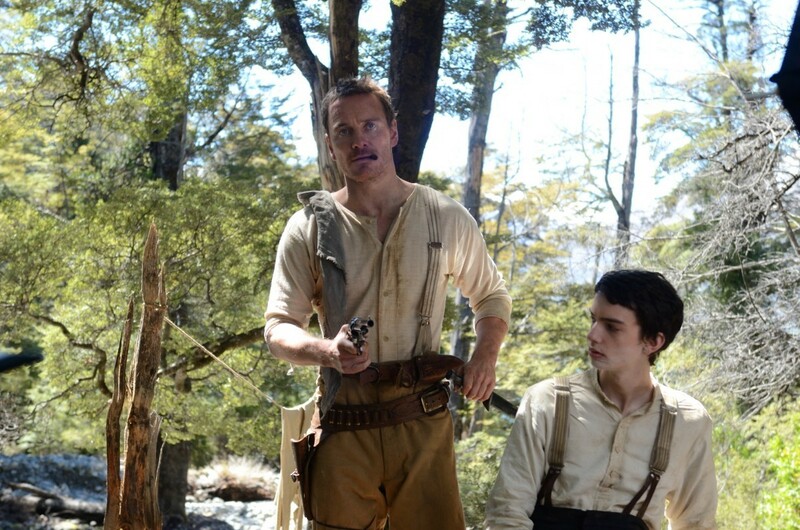 It’s been quite a year for Michael Fassbender with success in Macbeth and Steve Jobs, but it was this indie Western that he produced his best. Tracking across the American West, helping to search for the lost love of a young Scottish man, it’s played as a coming of age journey in the harsh brutal landscape that no one seems to be able to escape. Melancholic and dark, with an ending shoot out to rival any modern Western. Even in its fifth outing, in a world dominated by spy stories everywhere you look, the IMF still has room to surprise and send us on a world fact-finding mission. Director Chris McQuarrie‘s second MI film had a confidence and a solid story that fitted in with a series that’s now almost twenty years old. 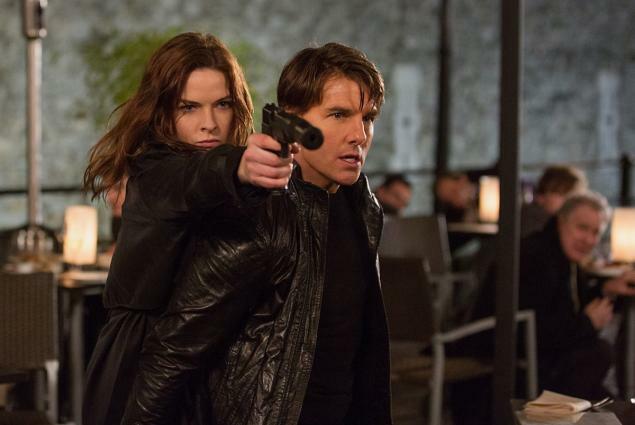 Tom Cruise still proving he can perform the most challenging of stunts and action, along with a great cast and a twisting script fit for the franchise. 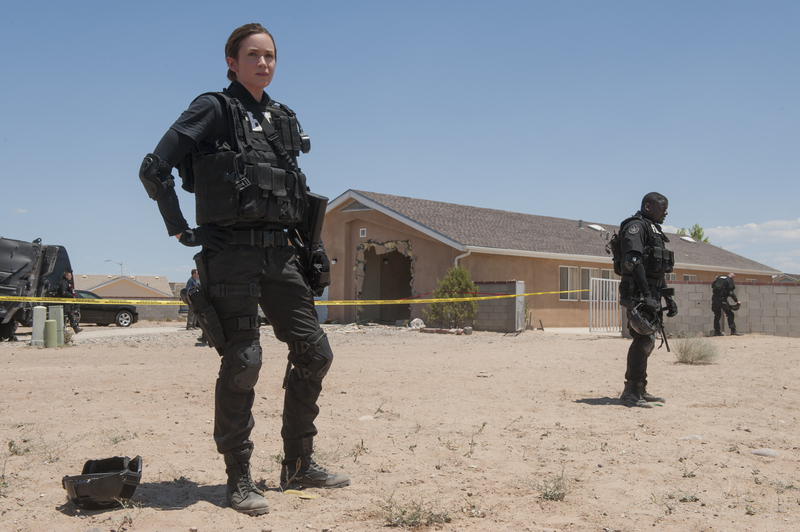 Stuck between the moral lines of battling the Mexican drug trade operation, FBI officer Emily Blunt had her temperament tested in Denis Villeneuve‘s tense thriller. Blurring the lines between ethical decisions whilst playing as an old-fashioned investigative film, this never allowed audiences to ever relax, much to its benefit. With graceful direction and excellent performances, it’s a prime example of Villeneuve showcasing his many directing talents. One of the biggest movies ever anticipated landed firmly on both feet as J. J. Abrams managed to please both heartened fans and set in motion a new generation of audiences discovering Star Wars for the first time. 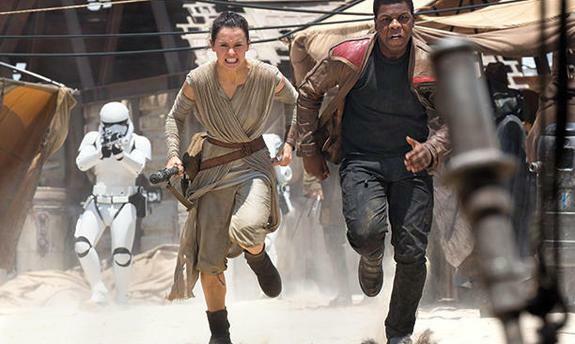 The new talent in Daisy Ridley and John Boyega playing brilliantly with the old cast including Harrison Ford worked a charm. A Sundance hit based on a best-selling novel, taking a teen-inflected story to another level as we see the lives of a trio through the eyes of Greg, his friend Earl and neighbour Rachel whose suffering from leukaemia. A love of old movies, tied in with the hardships of school and squabbling families, held buy a genuine friendship that’s never felt forced or constructed. Even more impressive is the film’s lasting appeal as its story manages to stay with you many days later. 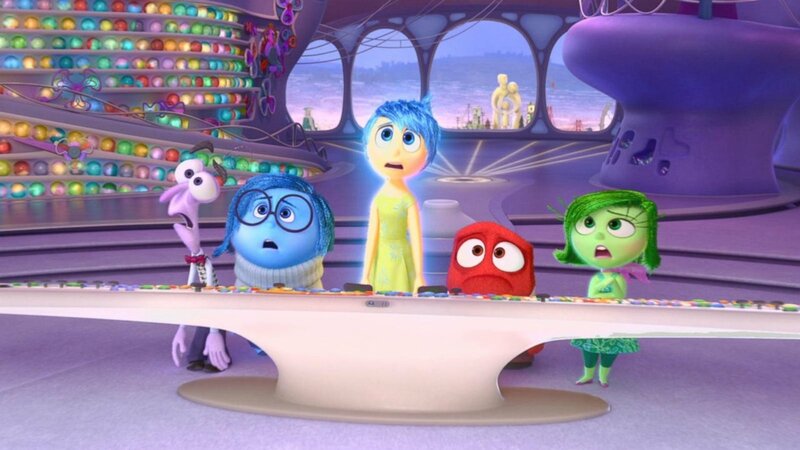 Set inside eleven-year old Riley’s mind (voiced by Amy Poehler), Joy, Anger, Sadness, Disgust and Fear fought it out for the head space of a young girl coming-of-age as Pixar reminded us why they are one the greatest studios in the world. Fun, fizzing with energy and humour and speaking not only to younger audiences but the adults aswell, this film helps us all understand the changes that inevitably occur in all of us as we grow older. Oscar Isaac, Domhnall Gleeson and Alicia Vikander square off in this story about a young computer programmer, tasked by an eccentric innovator to test how believable his new self-aware robot truly is. 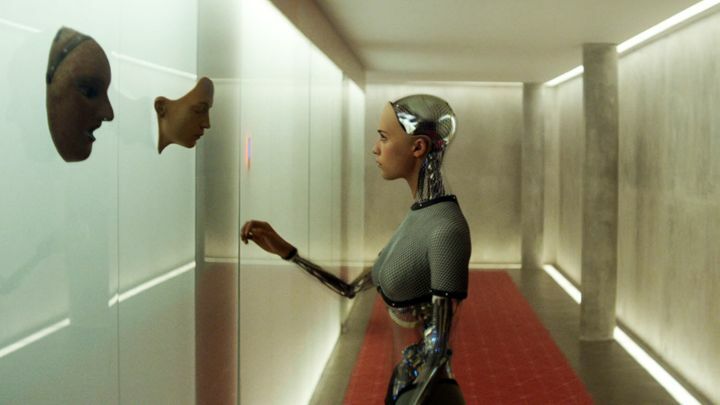 Directed by Alex Garland, famed previously in the sci-fi genre, questioned the audiences morals and kept the tension building between each three characters palpable until it’s conclusion. A masterful opening for a directing debut. Never has the line “Not quite my tempo” come with a menacing sense of threat. But it was J.K. Simmons‘ Oscar winning performance as a jazz teacher mentoring student Miles Teller, that kept us enthralled as his broiling, menacing personality shone in this film. 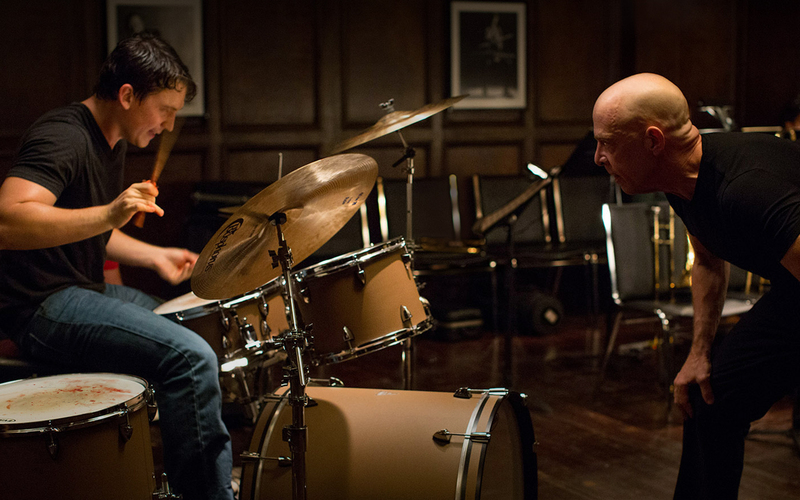 Treating jazz drumming like a boxing movie with drumsticks, it kept audiences on the edge of its seat wishing our heroes didn’t put a single foot wrong, and much like the film itself, it hit every note. Awe-inspiring, remarkable and down right bonkers. Director George Miller headed back to the franchise that made his name in the 80’s as he conjured up a riotous two-hour nonstop all-action spectacle. 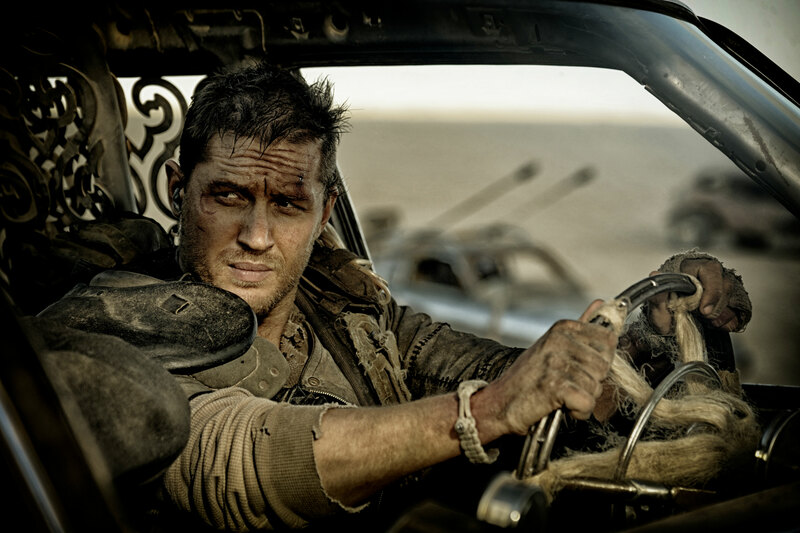 Tom Hardy stars as the eponymous Max Rockatansky who winds up in assisting the real hero of the piece in Charlize Theron‘s Imperator Furiosa, hoping to escape once and for all the grasp of the hideous Immortan Joe for a new life in greener lands. Not quite a remake nor a reboot, Fury Road manages to keep up an intense high level of visceral action, excellent design, understated performances and memorable set pieces without ever letting up, not for one minute. It’s the sheer audacity and its vast scope that allows the story to be kept at a minimal while you witness a movie that redefines the potential of how chases, shoot outs and stunts can be orchestrated with sheer perfection.